A woman with a Louis Vuitton-branded shopping bag looks towards the entrance of a branch store by LVMH Moet Hennessy Louis Vuitton in Vienna, Austria October 4, 2018. 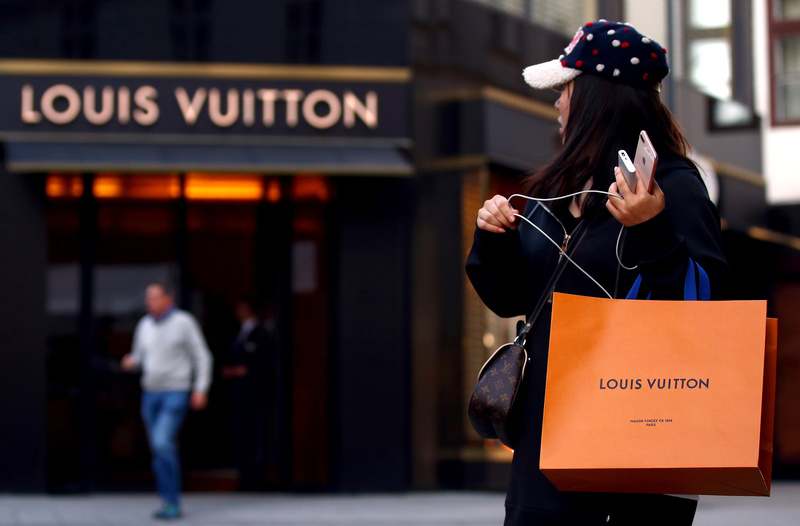 Louis Vuitton owner LVMH said on April 10 that like-for-like sales rose 11 percent in the first quarter from a year earlier to 12.5 billion euros, higher than expectations for 8.2 percent growth in an analyst poll by Infront Data for Reuters. Revenue at LVMH’s fashion and leather-goods division, which accounted for 41 percent of sales in the quarter, grew 15 percent on a like-for-like basis, which excludes the effects of currency fluctuations and merger activity. The French luxury group said its business environment has been “buoyant” despite geopolitical uncertainties. It said it would provide further details at 3 p.m. Paris time on April 11.